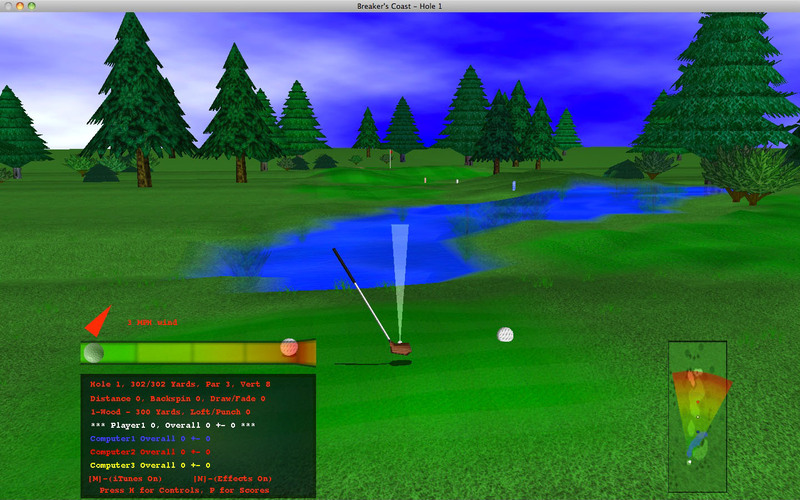 [prMac.com] Meadville, Pennsylvania - Nuclear Nova Software is proud to introduce GL Golf 2.17, their award winning 3D golfing game for the Macintosh. GL Golf offers a realistic physics system and smooth, fluid graphics for compelling game-play. Up to four players can golf twenty-one unique courses. Everything in a real game of golf is included, such as water hazards, sand traps, trees, bushes, wind, four seasons, different times to play, and much more. Other great features include both an internet and individual high score list, game saving, great music, iTunes controls, three difficulty modes, mulligans, the ability to choose your set of clubs, match/stroke play, and much more. Recent additions since version 2.0 include several replica and original courses, new bushes and trees, real time shadows, round and hole-in-one tracking, recent best score list, dynamic water, and over 180 other improvements. A free six hole demo is available from Nuclear Nova Software.